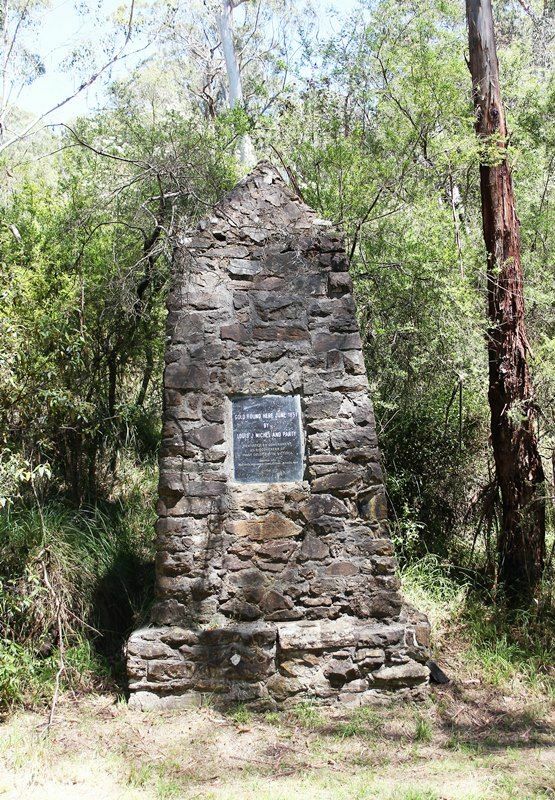 A monument commemorates the discovery of gold in Warrandyte. The monument was restored in 1969. In 1851 a reward was offered for a significant gold discovery in Victoria. 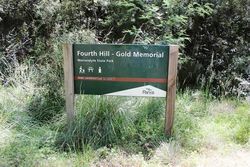 Louis Michel and William Haberlain found grains of alluvial gold at this spot and in a few weeks 300 miners were panning gold along Anderson Creek. Dr Ethel Osborne formed the Warrandyte Advancement Association during the 1930`s depression, and initiated works to provide local employment. They constructed this monument. 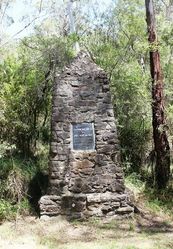 In the bed of Anderson`s Creek, Warrendyte, a memorial to the first discovery of gold in Victoria by Louis John Michel and party was unveiled on Saturday afternoon by Mr. C. R. Long, of the Historical Society of Victoria. 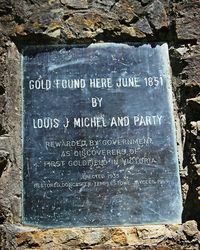 A reward of 1,000 offered by the government of Victoria was awarded to Louis J. Michel, who first found gold in Anderson's Creek at the spot where the memorial has been erected. With Michel were William Habberlin, James Furnival, James Melville, James Headon and Benjamin Greening. Border Watch (Mt. Gambier, S.A.), 14 November 1935. First Gold Field In Victoria.